BRANDON, MB – The Rural Development Institute (RDI) at Brandon University (BU) has released a report into strategies rural communities use to grow their population. This research provides insight into what growth strategies and assets are used by rural communities with growing and declining populations. RDI conducted a review of guides and tools intended to identify growth strategies, as well as case studies into three growing (Town of Russell, RM of Pipestone, and RM of Coldwell) and three declining (RM of Argyle, RM of Grahamdale, and RM of Montcalm) municipalities in rural Manitoba. Each case study described growth initiatives and provided an analysis of the growth strategies and capitals used for each initiative. “This preliminary investigation shows that while growing and declining rural communities undertake a similar number of growth initiatives, there is a difference in what growth strategies are used and their impact on population growth,” says Dr. Heather Duncan, Acting Vice-President (Academic & Provost). The study revealed that growing municipalities focused their efforts on initiatives aimed at retaining and attracting people, attracting new businesses, and regional cooperation, while declining municipalities had more initiatives that focused on health/wellbeing and recreation culture. The research also revealed that financial and human capitals were used by both growing and declining municipalities in their initiatives. However, growing municipalities used social and political capitals more often and declining municipalities used built, natural, and cultural capitals more often. 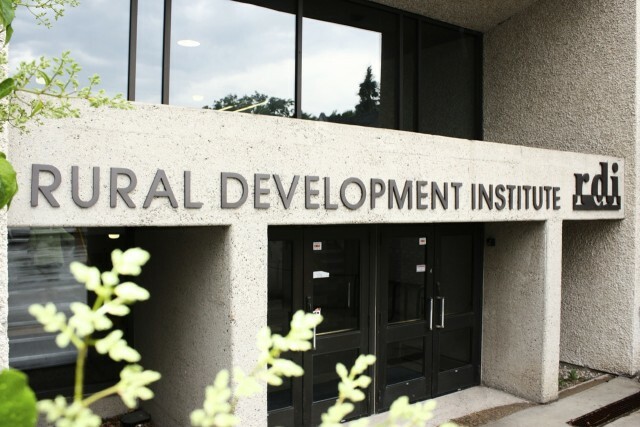 “We know through our work that rural planners and development officers are looking for ways to sustain and grow population,” says Dr. William Ashton, Director of RDI. The full report and case studies can be found at BrandonU.ca/RDI/publications/rural-adaptation-and-change.